Baba visits a high school in Kolhapur for three days where he plants a mango tree, gives his blessings to all the teachers and students and plays cricket and field hockey with the boys. 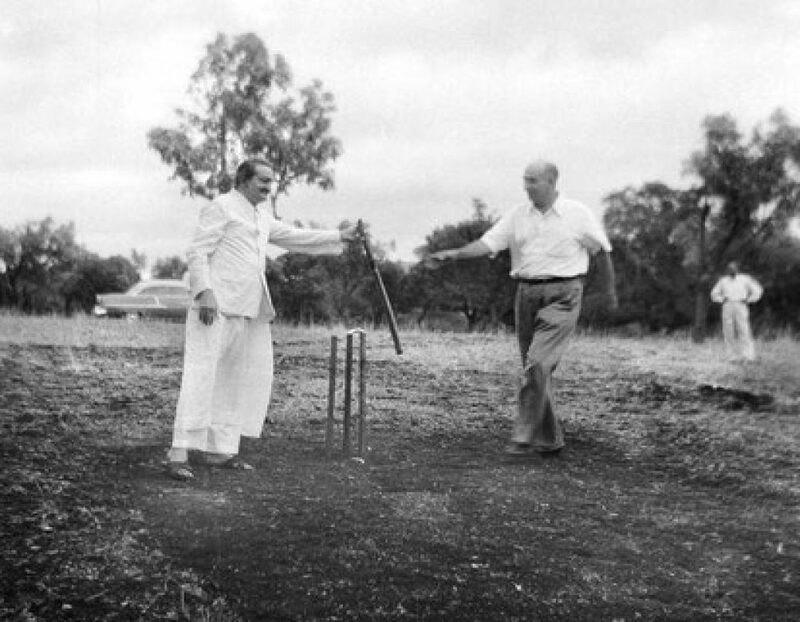 Some politicians visit during the games and are shocked to find a spiritual master playing cricket. Baba and the group left by train from Igatpuri for Agra on Wednesday, 12 April 1933. There were 20 people accompanying Baba, including the Westerners, Adi Jr., Jalbhai, Adi Sr., Chanji, Ghani, Gustadji, Kaka, Pendu and Vishnu. When the train arrived at Nasik Road Station, shouts of “Sadguru Meher Baba ki jai” rent the air as hundreds crowded onto the platform for Baba’s darshan. When the train came to a halt, the crowd rushed toward Baba’s compartment with loud cheers. Some fell weeping at his feet, and some kissed his feet and the hem of his garment — an illuminating sight indeed for his Western lovers. On 12 April in Kandahar, Baba found Fatruh Mian, a good mast who, while standing in water, would read aloud the Koran for hours on end. At first this mast would not come out of his enchanted state, but due to the vehement persuasion of his brother, who exhorted that he must see “the One who had come from so far,” Fatruh stopped reading the Koran and met in private with Baba.